A scarce surviving example of an early vintage railway ticket stamp machine. A fantastic & very early piece of railway memorabilia in cast iron, steel & brass, likely manufactured by Waterlow & Sons. 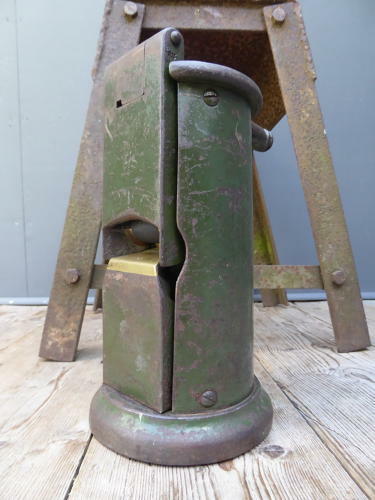 Would have sat inside a ticket booth at a railway station where the ticket would be inserted into the brass slot at the front & stamped when the hinged front panel was pushed. A great thing & a nice piece for an office desk! Wear commensurate with age, good unrestored condition, all original paint & retaining all interior workings & stamp.